Liberal financier and big-time Hillary Clinton supporter is giving big bucks to Republican candidates this year. Two hedge-fund managers who work for George Soros have given more than $500,000 to Ohio Gov. John Kasich’s super PAC and $100,000 each to both Jeb Bush and Chris Christie. Christie dropped out of the race after a poor showing in the New Hampshire primary and Kasich and Bush are at the bottom of most national polls. reportedby RT.com, Federal Elections Commission records show hedge-fund managers Scott Bessent and Stanley Druckenmiller gave $588,375 to Kasich’s super PAC, $103,375 to Jeb Bush’s group and $100,000 to Christie’s super Pac. Soros hasn’t gone right-wing – in 2005, he gave more than $7 million to Hillary Clinton’s super PAC “Priorities USA Action,” but he has been vocal in speaking out against two of the GOP’s most popular candidates. In a Bloomberg interview, he said that Donald Trump and Ted Cruz are “doing the work of isis” through fear mongering. “We must reaffirm our commitment to the principles of open society and resist the siren song of the likes of Donald Trump and Ted Cruz, however hard that may be,” he said. 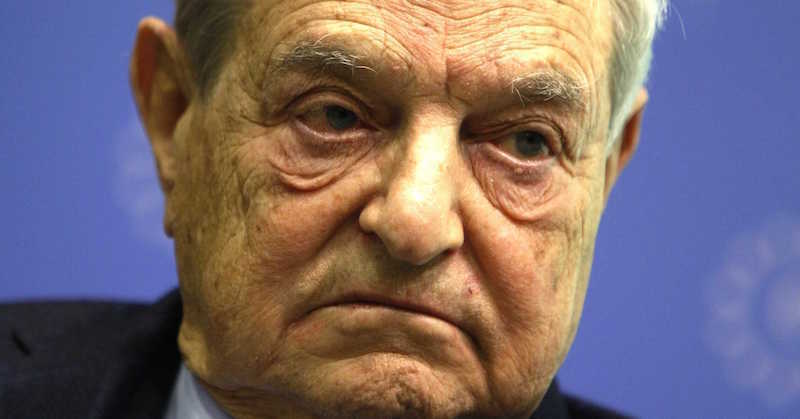 So Soros is trying to shape the GOP debate by tossing big contributions over the fence from the Democratic side.